Ellerslie Veterinary Clinic is pleased to offer a variety of payment options for veterinary care. For your convenience we accept the following methods of payment: Cash, Eftpos and Credit Card (VISA, MasterCard). We do require payment at the time of service. We do not carry accounts. 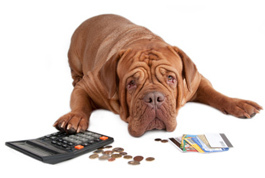 We offer credit through VetCare Finance. Simply fill in the application form at the clinic and within 10-15 minutes we will know if you qualify for this service. Or, you can get pre-approval by filling out an online application. Please read www.vetcarefinance.co.nz for further information or ask one of our staff members. VetCare Finance can also assist with treatments under $200.